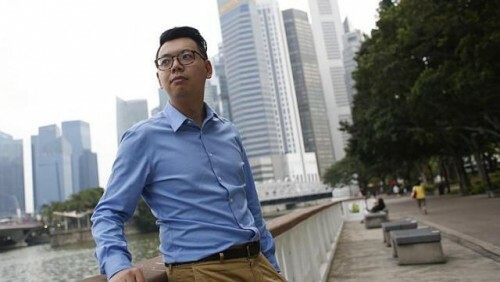 NOT long after Mr Tan Eng Kiat graduated from the National University of Singapore in 2007 and began to practise architecture, he was able to do a six-month stint in the Chinese city of Guangzhou, where he took part in an international planning competition. As an architect and urban designer, a role he now specialises in, he had to consider how people interact with public space and the socioeconomic aspects of development. He soon learnt that winning the competition was not the only thing at stake. The brief was to design a 35 sq km waterfront revitalisation project, bearing in mind various policy considerations. But as Mr Tan walked around the site - and the city slums it housed - he came to understand the deep-seated reservations of the people living there. "The slum dwellers were worried about what development would mean and about their homes being demolished," says Mr Tan, now 33. "Shifting a road by just 1mm on paper could mean that hundreds more had to move. Those lines could change lives, and it really left an impression on me." He began to question some of the fundamentals of architecture - his passion since childhood. It gave him a firmer grasp of what he really wanted to do. "Architecture, while challenging and engaging, can serve the owner of the building and the ego of the architect more than it serves the public. Urban planning was where I could make a greater difference to lives," he says. On his return to Singapore, he joined Surbana, an urban planning firm known for its residential and mixed-use development of precincts, towns and cities. "I often tell people I'm a professional SimCity player," he quips, referring to the computer and console video game where players build cities while keeping citizens happy and staying within budget. Some days, that means having to resist adding the "designer's touch" to everything. "Sometimes it is a simple open space that has the greatest impact on the community," says Mr Tan, who is also an avid biker. He cites the fast-disappearing open fields in HDB neighbourhoods, which often take on a life of their own on weekends, hosting cricket matches or kite fliers. His job has made him a globetrotter. He was involved in planning the Tianjin Eco-city in China, and his firm was one of the first international master-planning consultancies to head to Myanmar as the country opened up to foreign investments. He was also part of the team that conceptualised Surbana's winning design for Doha's Al Sahan Airport City - into which they incorporated the sahan, or courtyard, as it is an important element of Qatari homes. The design landed Surbana the Most Outstanding Planning Project award from the Singapore Institute of Planners. Today, Mr Tan is one of Surbana's youngest vice-presidents and project directors, involved in large-scale and complex master planning. His work often involves bringing together industry professionals such as engineers and architects, as well as economists and even advertising agencies, for various projects. He is keen to grow the business, expand into new markets, and engage in research and development, as well as participate in professional conferences and more design competitions. "It is fascinating to see how all the issues are so deeply intertwined - each planning decision driven by principles or compromises in other aspects of the planning process," he says. "I'm learning new things every day."